de Bakker, J.W. (1978). Recursive programs as predicate transformers. In Proceedings of IFIP WG 2.2. 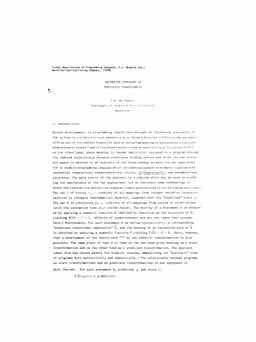 Formal Description of Programming Concepts 1978 (pp. 165–181). North-Holland.